This is a book that discusses the activities of the paranormal creatures that invades our daily lives. You and your children need to understand the paranormal world. The laws that govern these paranormal creatures are in this book. How do they enter our lives? What can we do about it? How can we get rid of them? 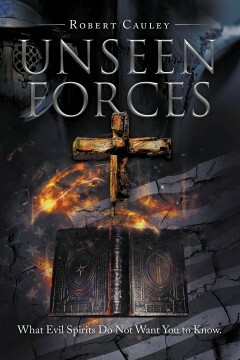 You can defend yourself against the paranormal entities, which creates FEAR, horror, and doubt by reading this book. Educate yourself against the paranormal activities your children have at night that causes FEAR. READ THIS BOOK! In 1976, I went into the Ministry of the Gospel, and later spent two years studying Religion at the Southern Baptist Seminary and Texarkana Community College. Later moving my faith to the Full Gospel where my interest began in the paranormal because of the many request for exorcisms and counseling mostly on paranormal events of both property and personal. Personal studies, research, and counseling brought on a fear for children, whose parents failed to realize the Spirit World through ignorance. Many of my personal studies and counseling brought on a connection between spirits and aliens.